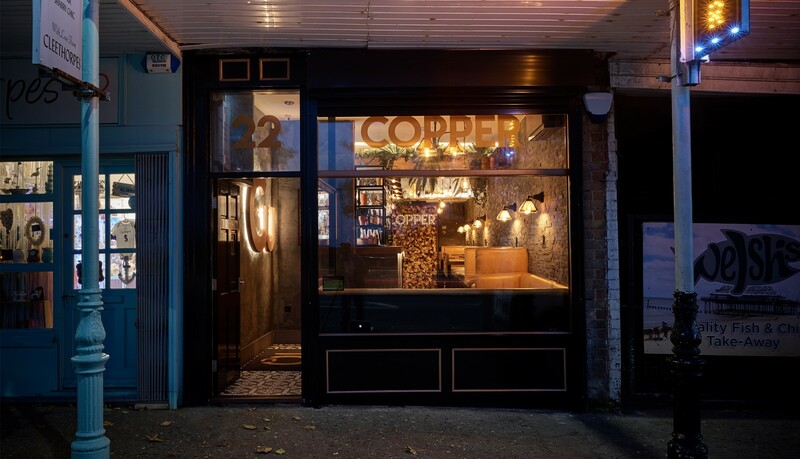 Located on the Cleethorpes seafront within the heart of the local conservation area this three storey Victorian terrace was remodelled to create Copper Bar at ground floor with two flats above. 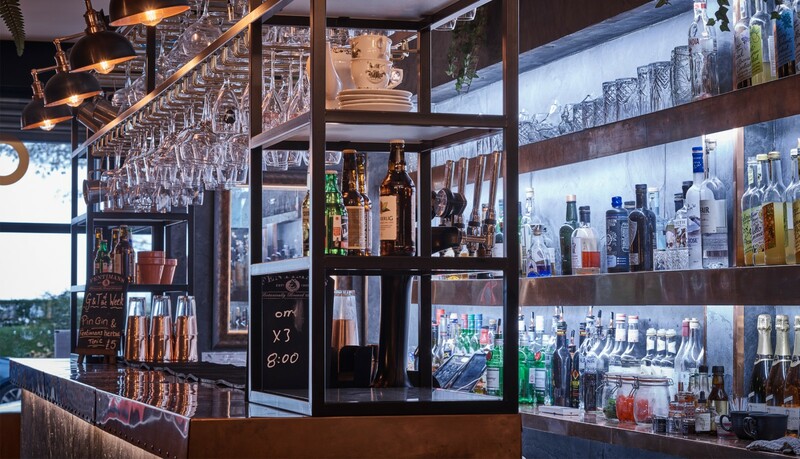 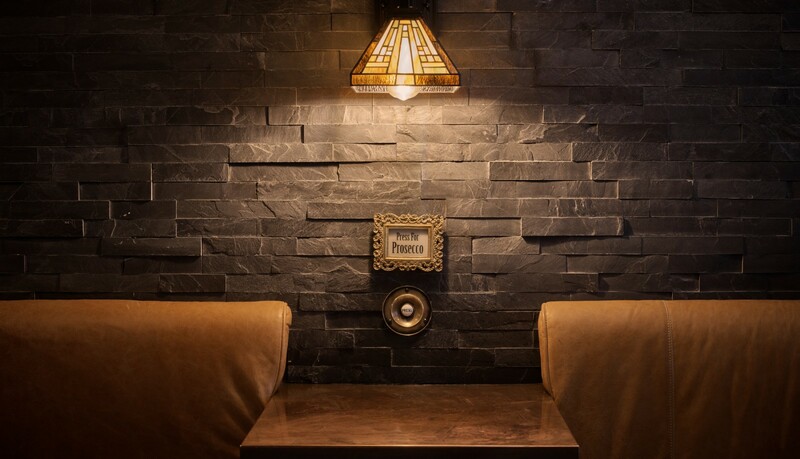 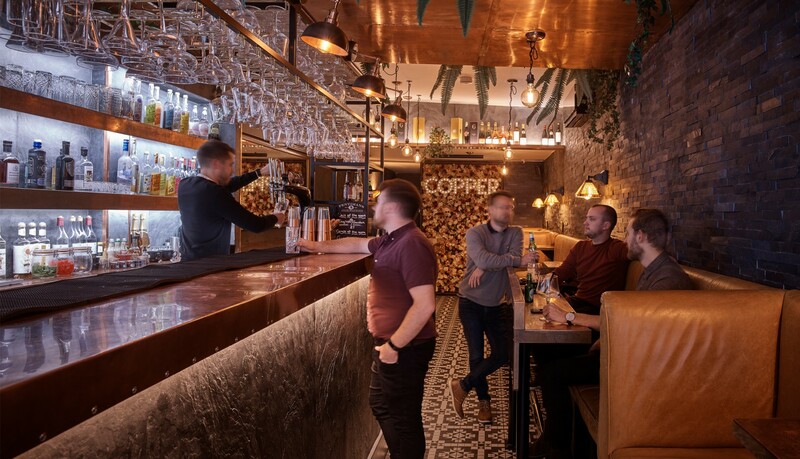 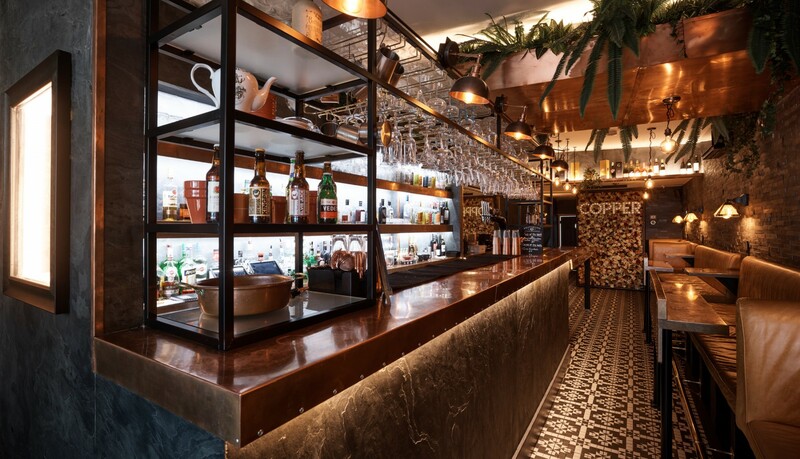 The bar was designed with a limited material palette of slate and copper to create an intimate setting for the range of cocktails and meze dishes on offer. 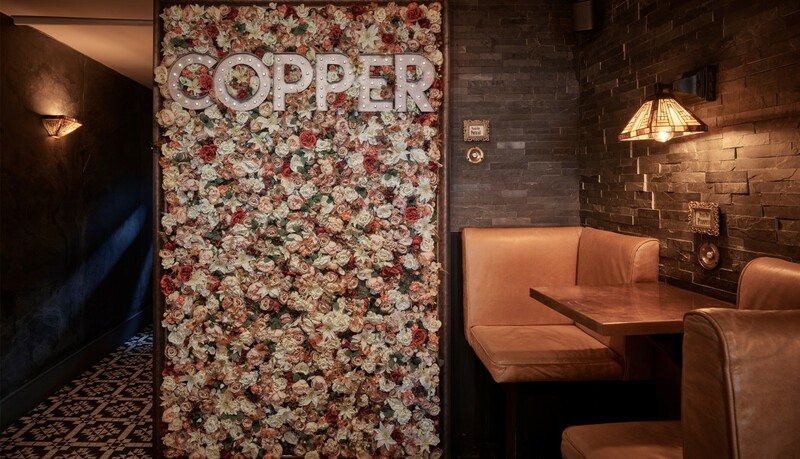 The introduction of playful motifs including ‘Press for Prosecco’ and the flower wall help to establish the identity of this unique venue.